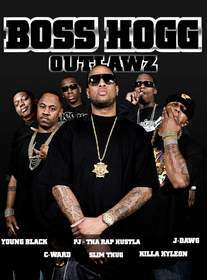 NEW YORK, NY--(Marketwire - August 1, 2008) - Boss Hogg Outlawz/KOCH Records are proud to announce the release of "Back By Blockular Demand (Serve & Collect 2)," the new album from Slim Thug and The Boss Hogg Outlawz, on Tuesday, September 2nd, 2008. One of Houston's most popular underground hip hop groups, Slim Thug's Boss Hogg Outlawz are back with the release of their second Boss Hogg Outlawz album, "Back By Blockular Demand (Serve & Collect 2)." This album is the follow-up to 2007's "Serve & Collect." The new studio album features Slim Thug, original Boyz N Blue members PJ Tha Rap Hustla, Sir Daily, Chris Ward and Killa Kyleon, plus newer members J-Dawg, and Young Black. The album's first national single "Keep It Playa," featuring Killa Kyleon, PJ Tha Rap Hustla and (KOCH Records/Knockout Entertainment label-mate) Ray J had 20 adds first week out at urban radio and continues to grow. A new video for the track (directed by Mr. Boomtown) was recently shot in Houston and was just added to BET. A street video for another new track, "Ride Wit' No Ceiling" was recently leaked and is viewable here: http://www.youtube.com/watch?v=QYrP4vothvs. KOCH Records General Manger Alan Grunblatt adds, "KOCH is thrilled to welcome Slim Thug to our roster of artists. He is truly one of the greatest rappers in the country. 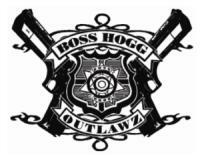 His group, Boss Hogg Outlawz, is set to explode." Slim Thug made a name for himself on the numerous mixtapes he was featured on for Swishahouse Records in his native Houston, TX. Slim then formed his own label, Boss Hogg Outlawz, and has continued to release highly successful mixtapes. Slim Thug's debut album, "Already Platinum," debuted at #2 on the Billboard charts, and has sold over 500,000 copies.